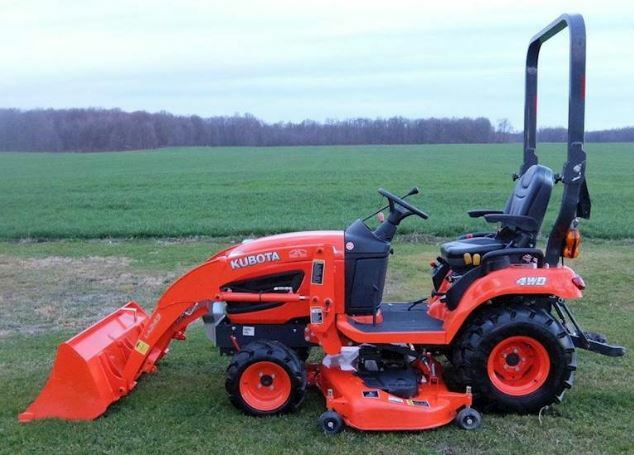 Kubota BX2370 Sub Compact tractor is very helpful to those people who want to work hard and earning money. Here in this post, we provide all details like it Mileage, Lift Capacity, Strength, Capacity of a fuel tank, Cubic capacity and its horse Power. It is mostly used for yard and garden. Its key specification is a powerful 23 horsepower Kubota diesel engine, 898cc, Drive type 4wd, standard power steering. Its large tire is well suited for garden work that is less slippage on a field operation. Its fuel tank capacity is 25 liter, and its gasoline capacity is 6.6. That well suited for long work. 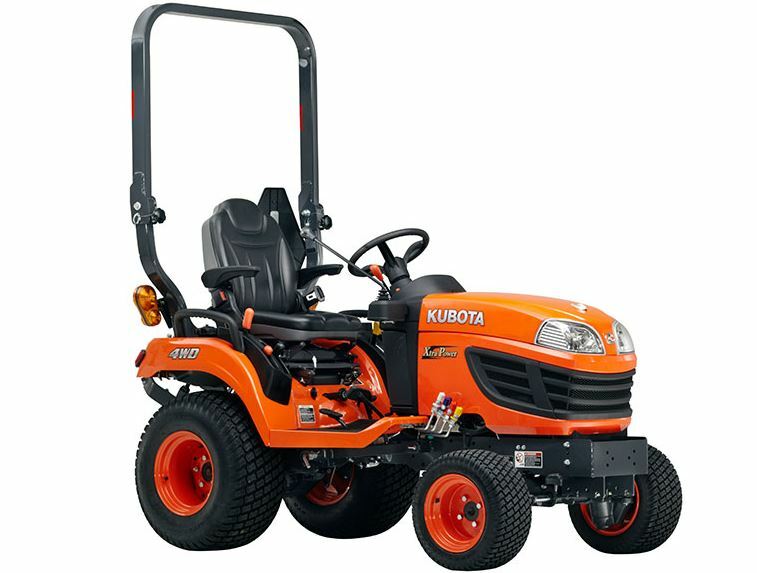 Kubota BX2370 sub-compact tractor is designed with 4 wheel drive that offers great traction for the heavy-duty front loader work. It has an operating voltage 12v and alternator amperage is 40amps, and that battery size is 540cca. Kubota BX2370-1 Has very nice meter panel which technically latest designs for it. 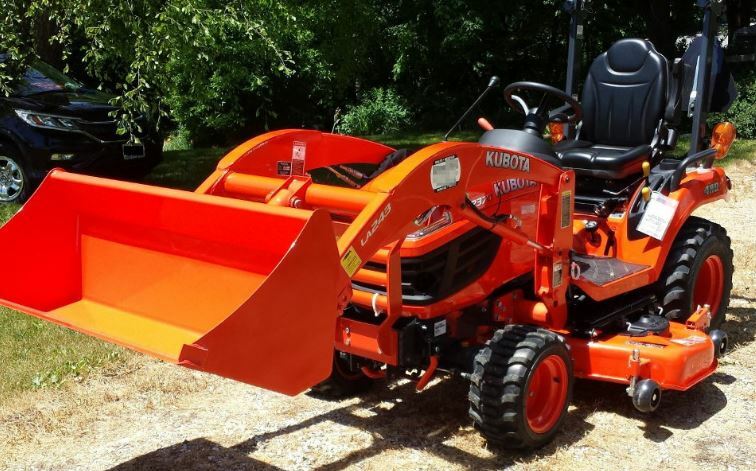 Kubota Mini Tractors Has LCD Display For Fuel Level and Coolant Temperature at the right side. A tachometer is at left side. Engine rated rpm is 3200. Power take-off horsepower is 23HP etc. Gearbox system packed with hydrostatic 2 forward and 2 reverse gears. Power steering that is well suited for long work. Its Axle capacity front is 1630lbs and Axle capacity rear is 2120lbs. Its hydraulic system is potent with lift capacity @24” behind pin is 680 (lbs), 310 (kg). Its Pump output is 23.5l/min. It has hydrostatic power steering, that provides effortless control and reducing operator fatigue and stress. 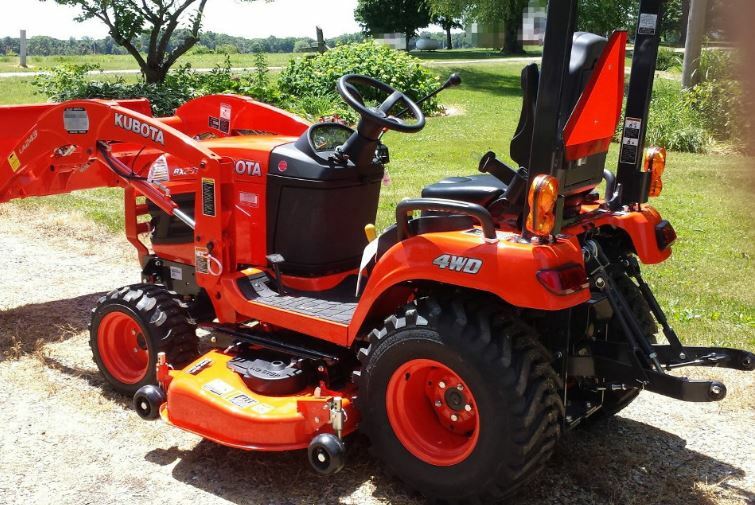 I think it should be great enough information to buy Kubota BX2370 Mini Tractor. I hope you like this post, please comment below in the comment box if you have any question regarding this article. If you like this post so please share it.